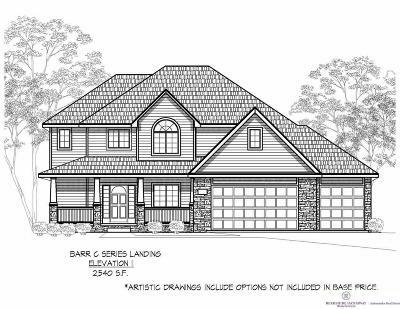 Barr Homes Callaway plan with covered porch front elevation, 2 story 4 bed, 3 bath. WALKOUT LOT! Open floor plan. 3 car gar with 4th car tandem space. 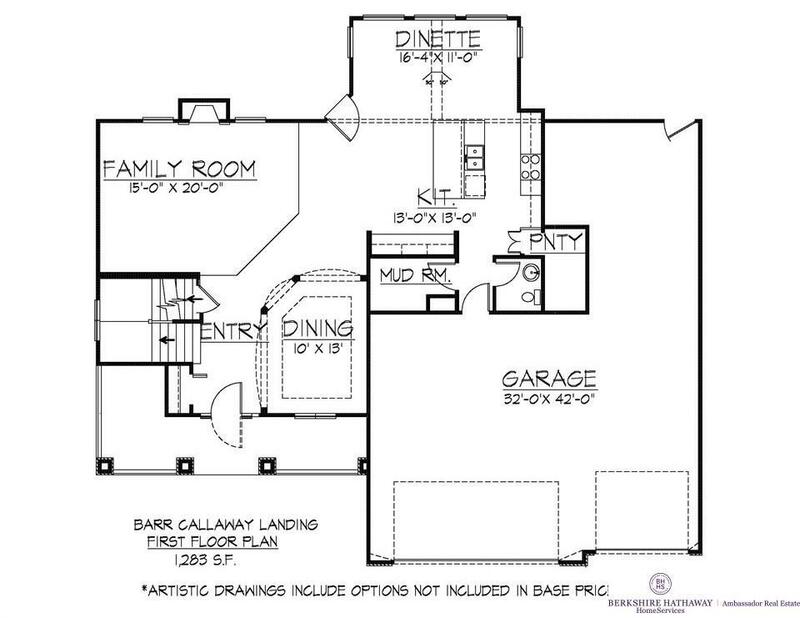 Large kitchen with center island, hidden walk-in pantry, and dinette area. Great Room with stone fireplace & large daylight windows to floor. Mud room off garage. Laundry room upstairs. J&J bath upstairs. 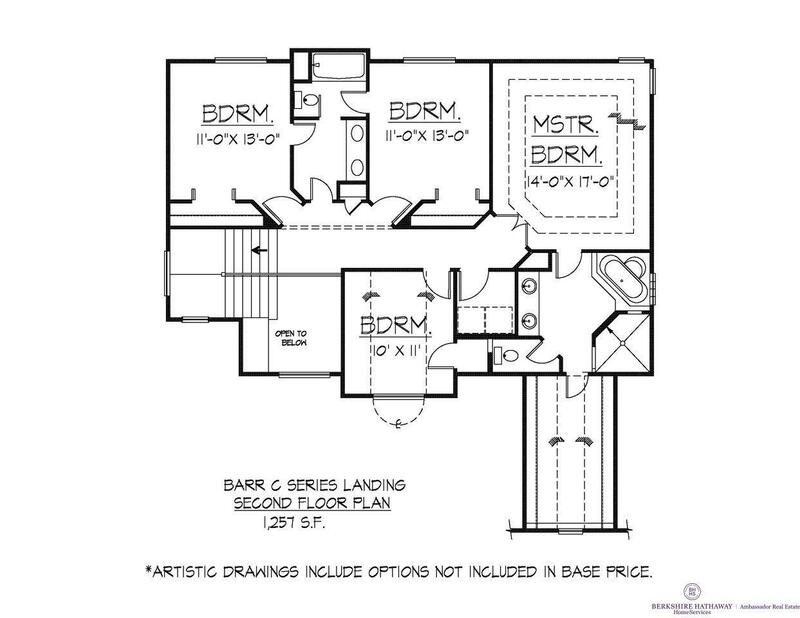 Master bedroom with large walk-in closet, walk-in shower, upgraded tiled whirlpool, & double sink vanity. 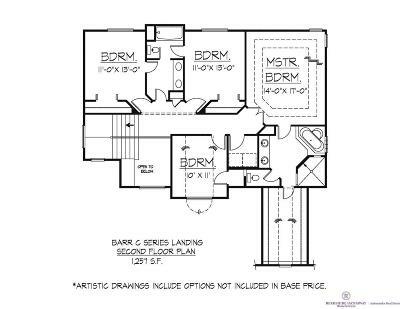 Prices & completion dates are subject to verify. 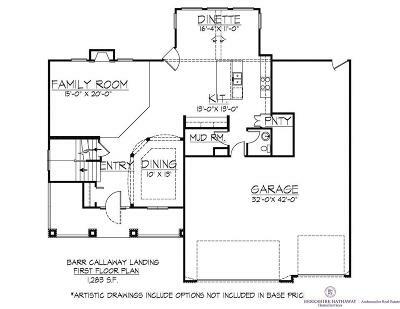 Pictures may be of similar completed home. AMA using prints. Buyer to verify current schools. Agent has Equity.